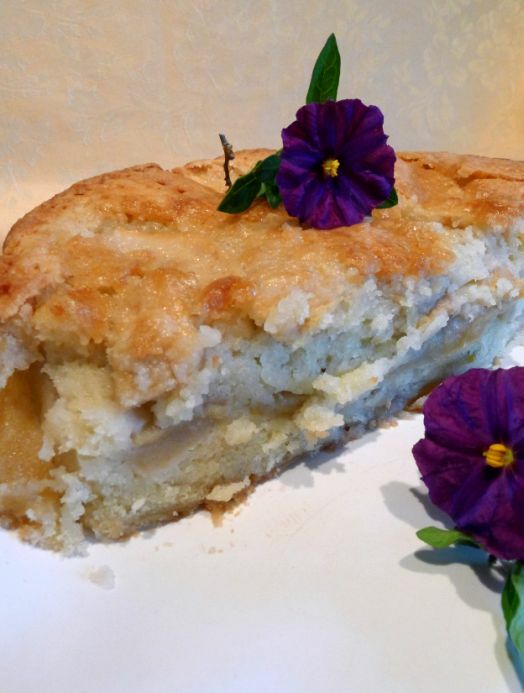 If you are in a crunch for time but you need to bake something give this cake a try! 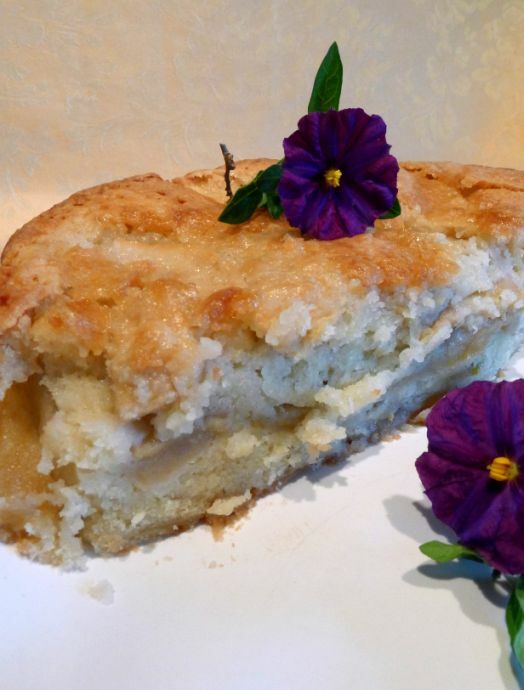 It is very easy and requires only a few ingredients but the result is a yummy, moist, and very flavorful cake. 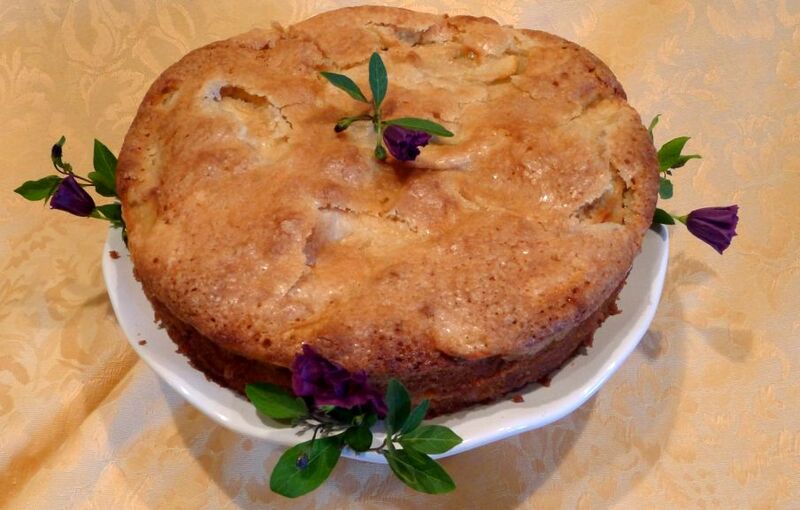 This cake has a very strong rum cake so if you don't like alcohol in your cake you can omit the Rum but I think the rum really enhance the flavor of the cake. 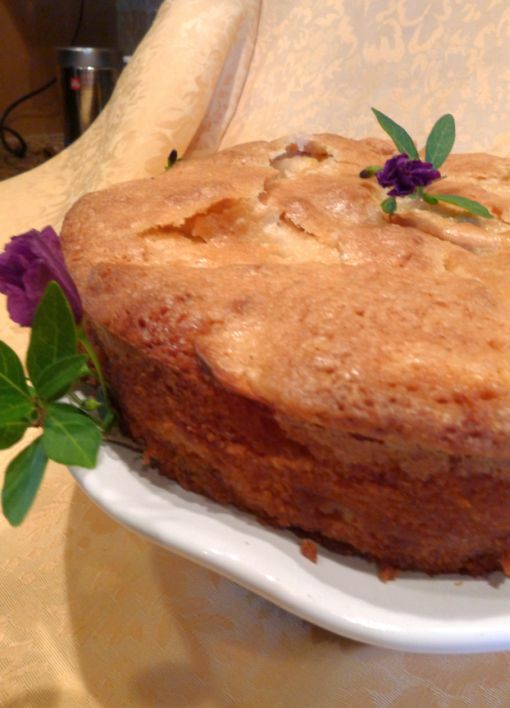 This cake is best served at room temperature the day it is bake but it is also delicious the next few day as long as it is refrigerated. 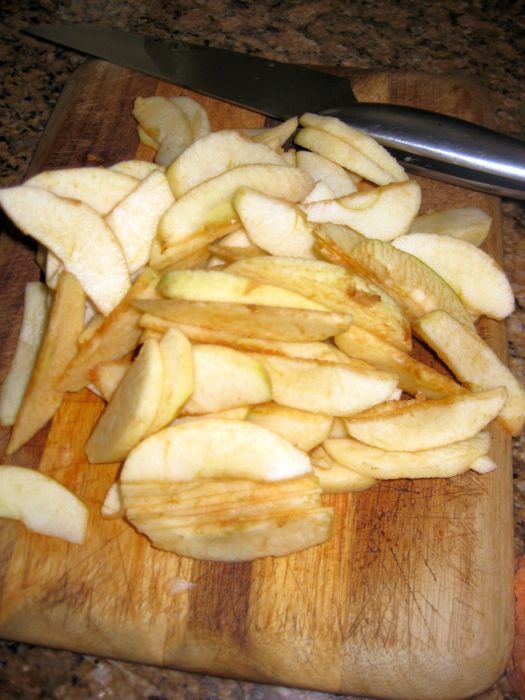 4 large apples, peeled, cored, and cut thinly. 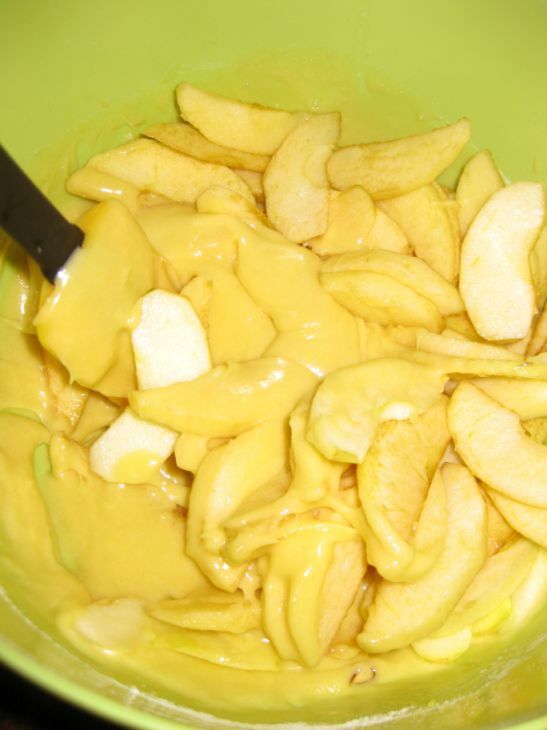 Peel the apples, cut them in half and remove the cores then slice them thinly. Put aside. 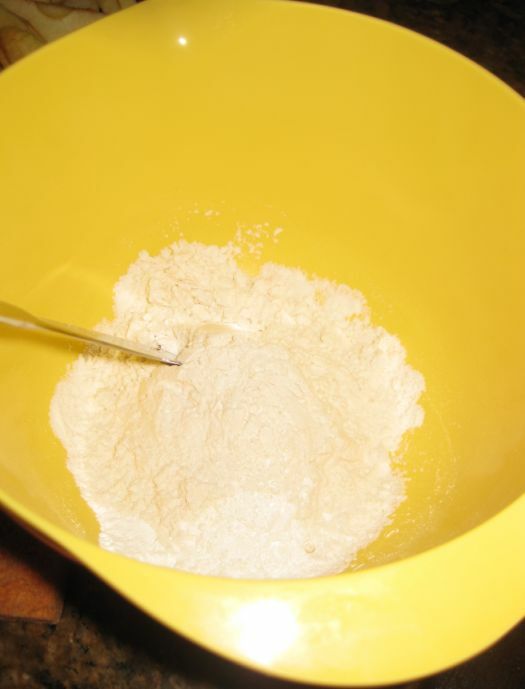 In a separate bowl put the flour, baking powder, and salt together and mix until combined. 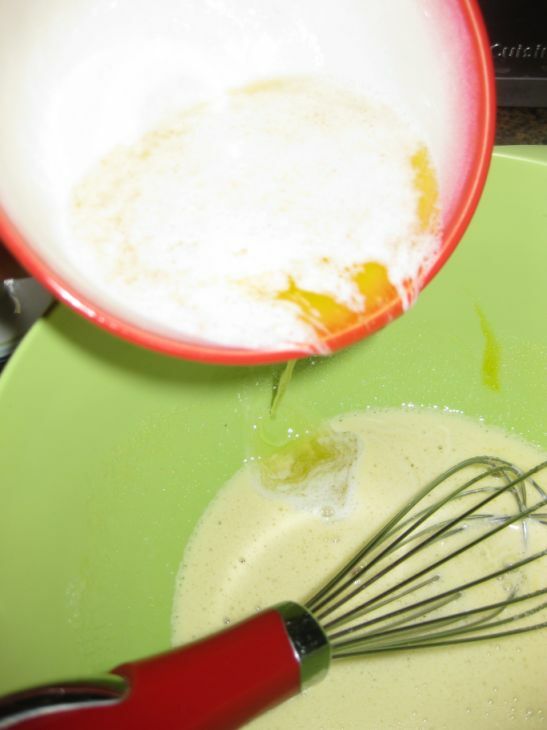 In a medium bowl, beat the eggs with a whisk until they’re foamy. 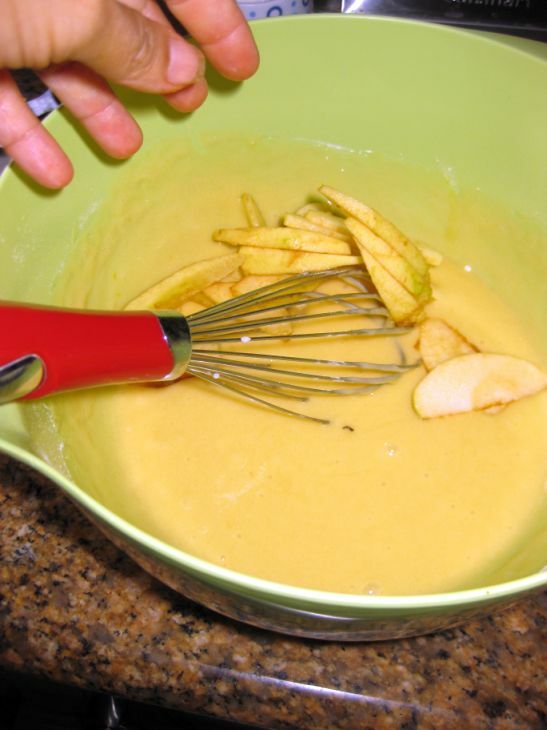 Pour in the sugar and whisk for a minute or so to blend. Whisk in the rum and vanilla. 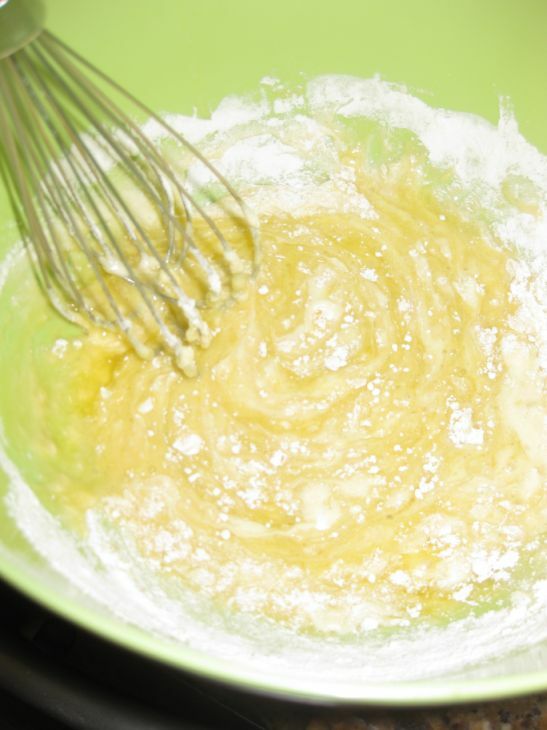 Melt the butter and let it cool down a bit before pouring it in the egg mixture. 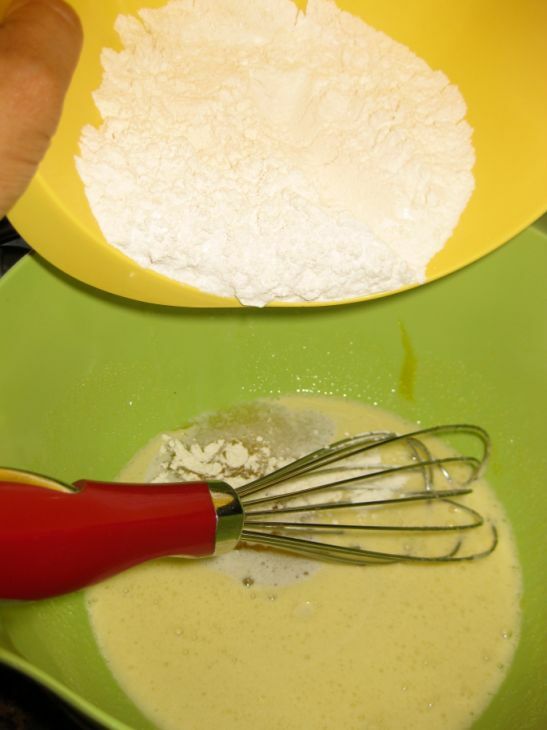 Add the flour in the egg mixture. 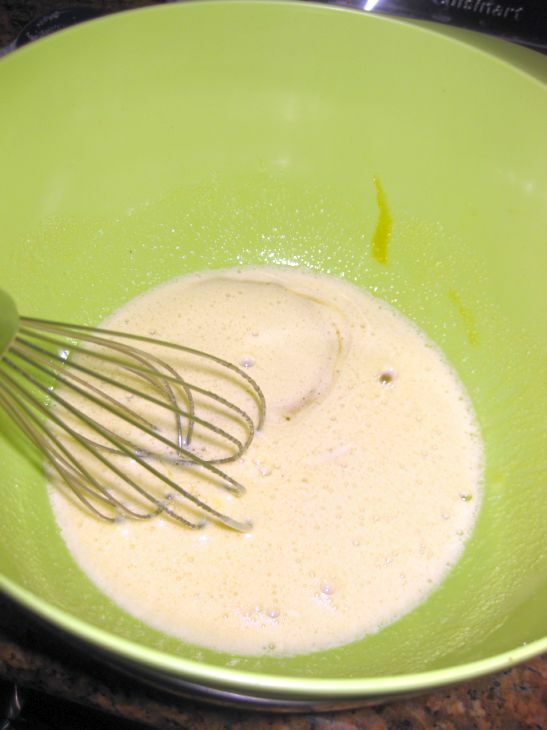 Mix gently until you have a smooth but rather thick batter.. 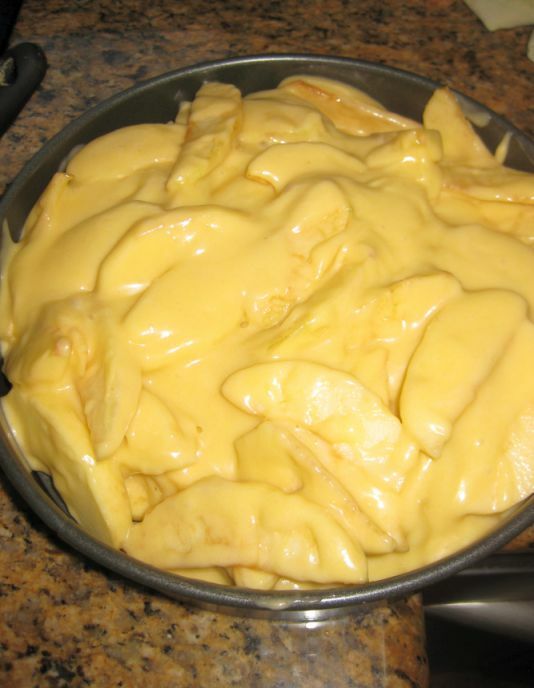 Mix it all together until all the apples are coated with the batter. 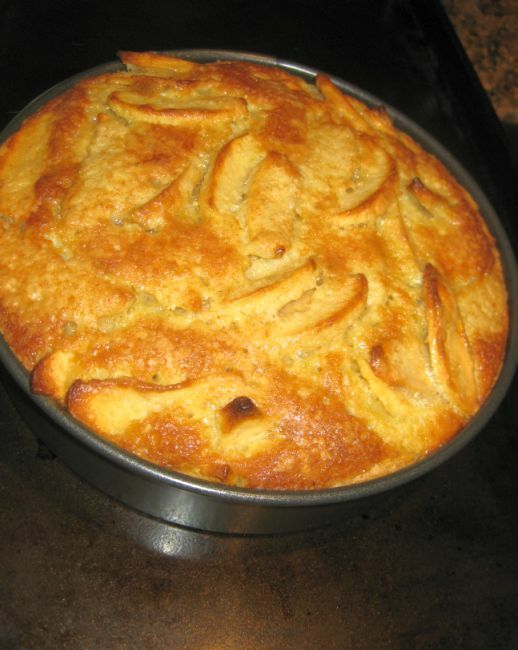 Bake for about 50 to 60 minutes or until the top of the cake is golden brown and a knife inserted into the center comes out clean. 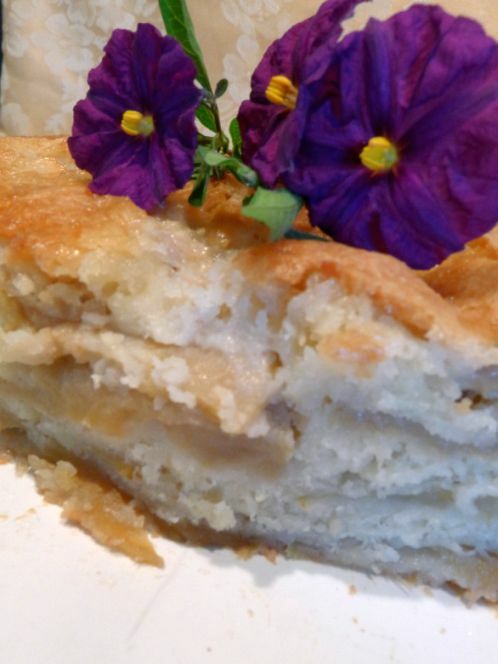 Transfer to a cooling rack and let it rest until ready to serve.